Celebrating victory of Shakti over Mahishasura, of Lord Rama over Ravana, and of Durga over demons like Mahishasura, Chanda-Munda and Shumbha- Nishumbha; that is victory of good over evil. This day marks the end of Durga Puja so people immerse the idols and go to each others' house and exchange gifts and sweets. Vijayadasami, is the culmination of the 9 day celebrations of Navaratri. The day on which the Mother Goddess defeated Mahisha, the most powerful Asura, is celebrated as Vijayadasami. 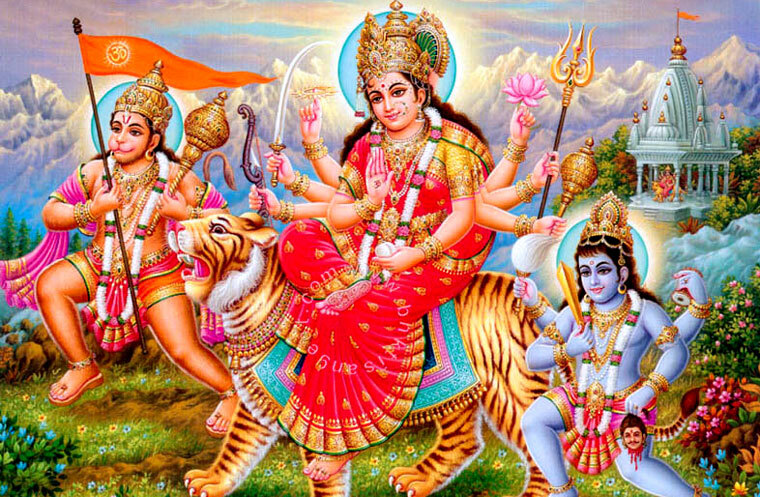 Devotees that undergo fasting during the nine days of the Navaratri, consummate their fasting or viratham, by celebrating the victory through prayers to the Goddess. In Kolkata, Vijayadasami is celebrated as Durga Puja. It is a custom where the deity is taken as in a procession around the city and devotees offering prayers through out its path. It is a celebration of lights, loud chantings and music. It is on this day that kids are introduced to education formally, in the presence of the Goddess Saraswati. This is a practice where kids are brought to Devi temples, and introduced to Vidhyarambam [or introduction to education]. This is an important event, where the priest, after due prayers, writes on the tongue of the child with a golden ring, while the father or uncle, makes the child write on a plate filled with rice, the letter Aum and slokas praising the Lord of Vigna, Vigneswara or Ganesha. Vijayadasami plays an important part in introduction of knowledge to the child.